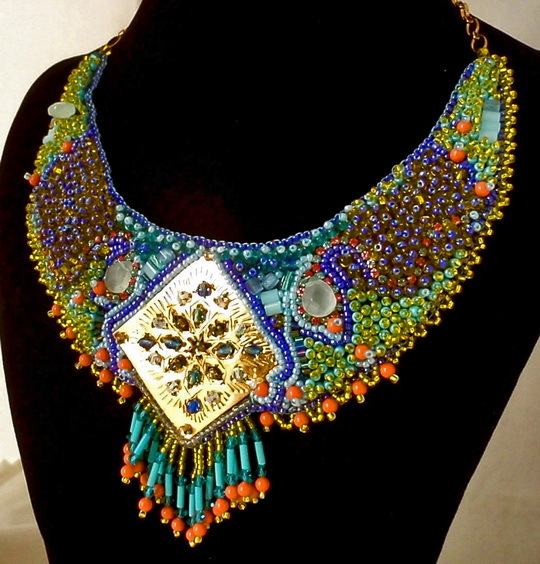 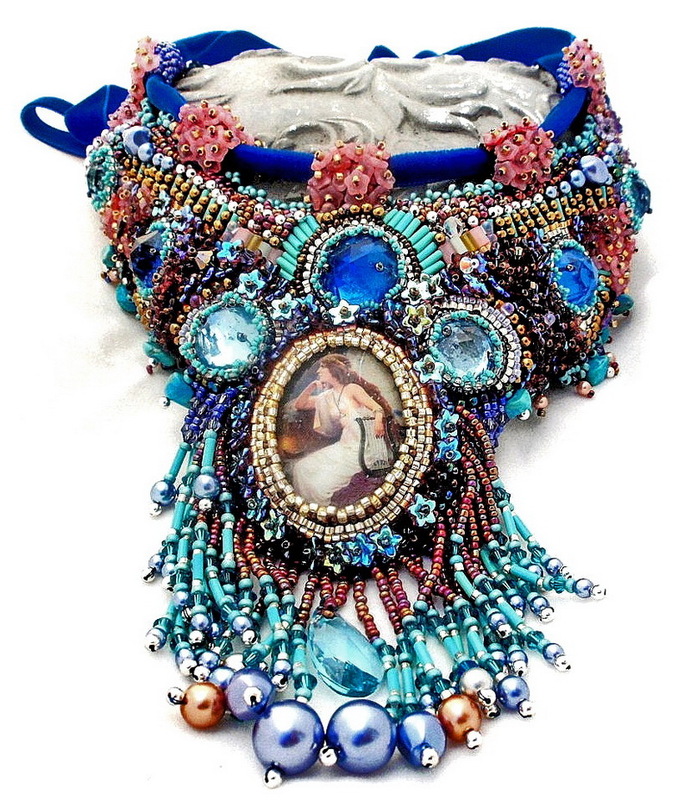 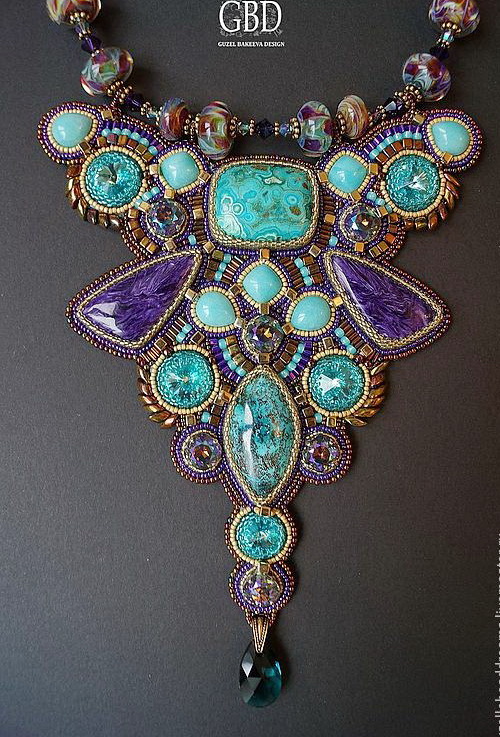 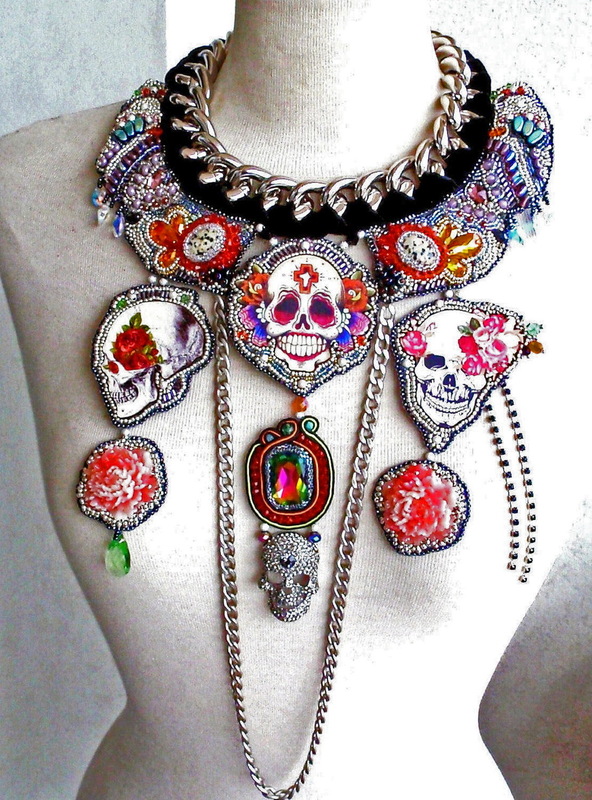 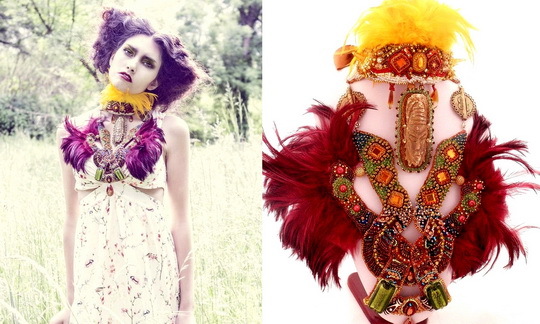 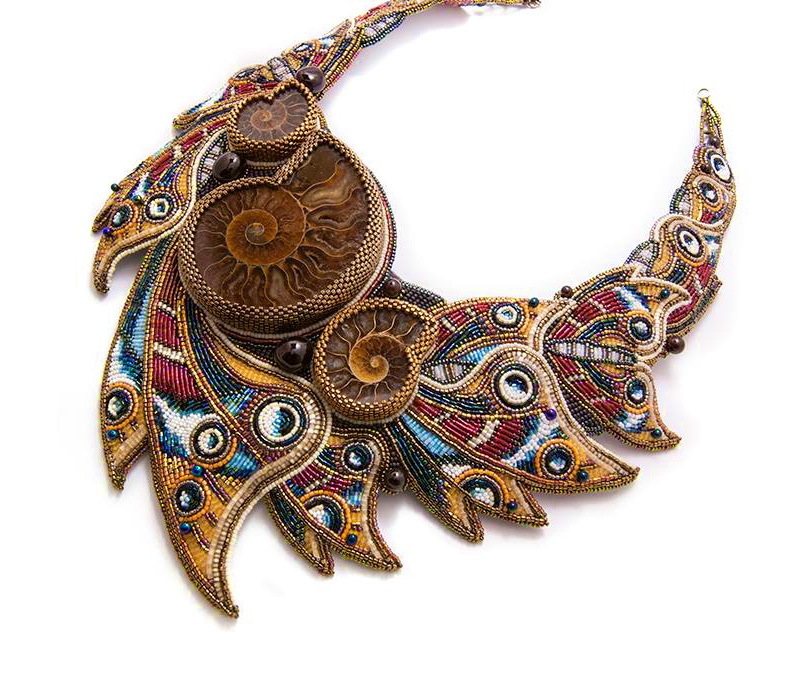 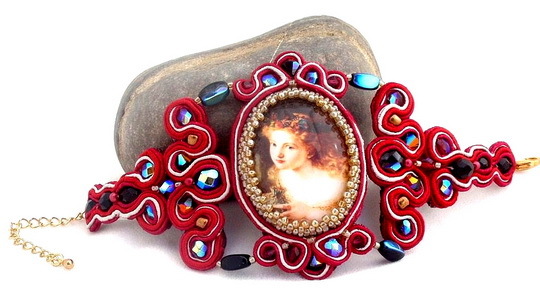 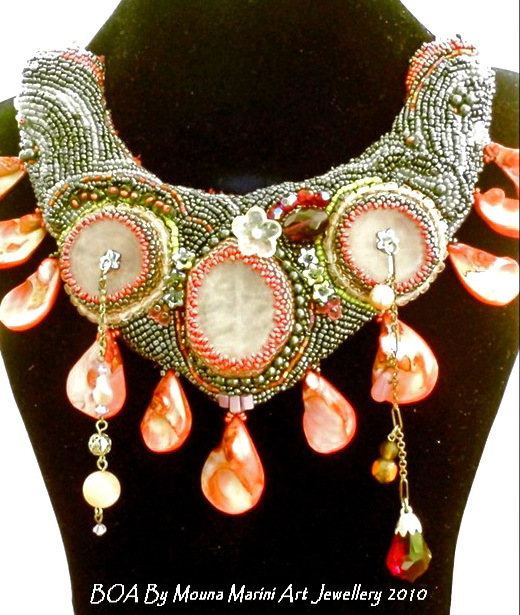 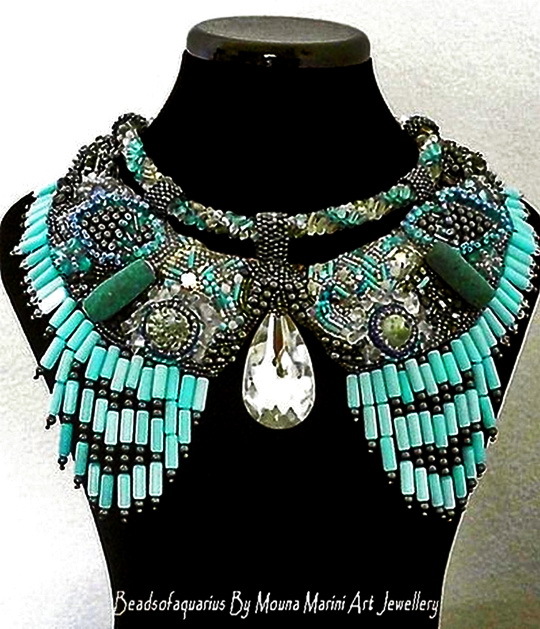 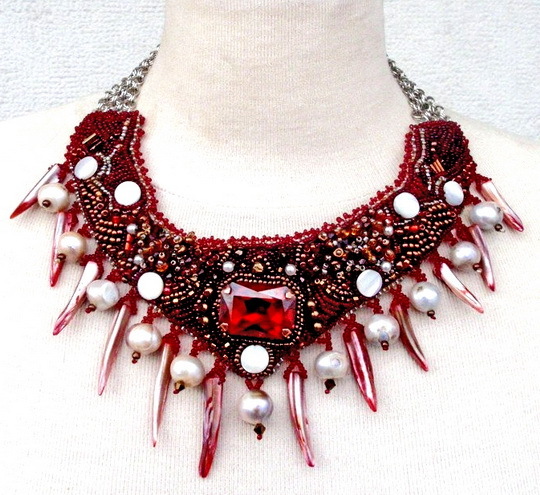 Mouna Marini is beadwork artist from France. 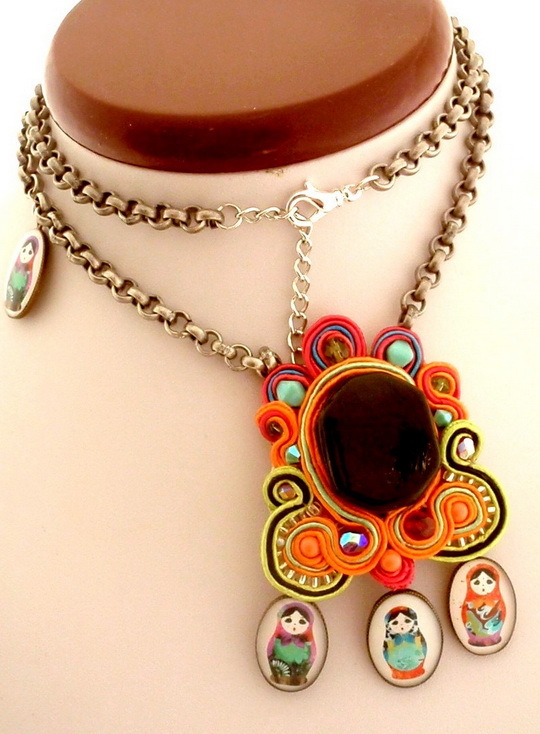 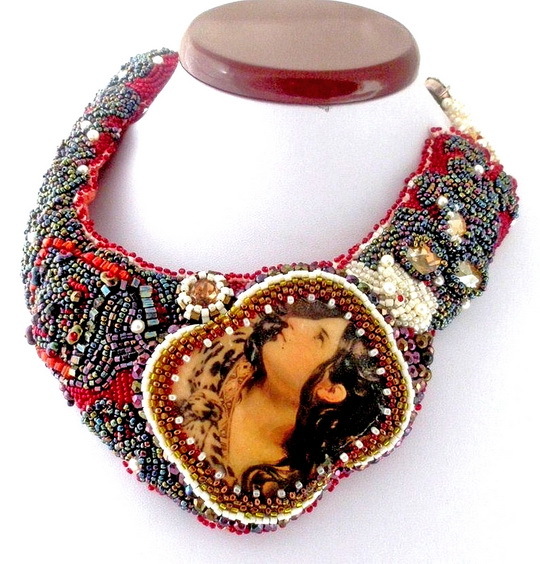 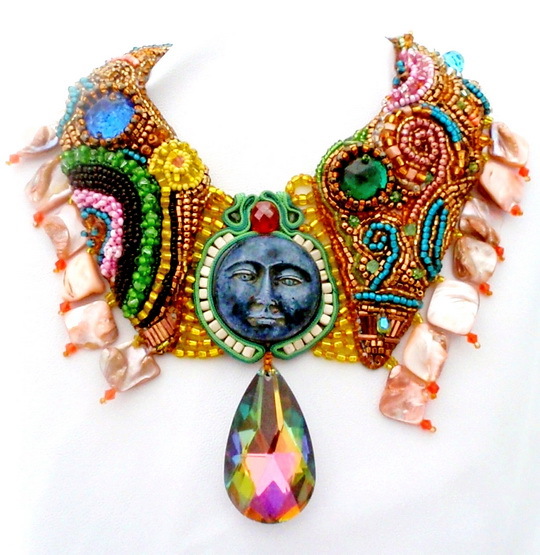 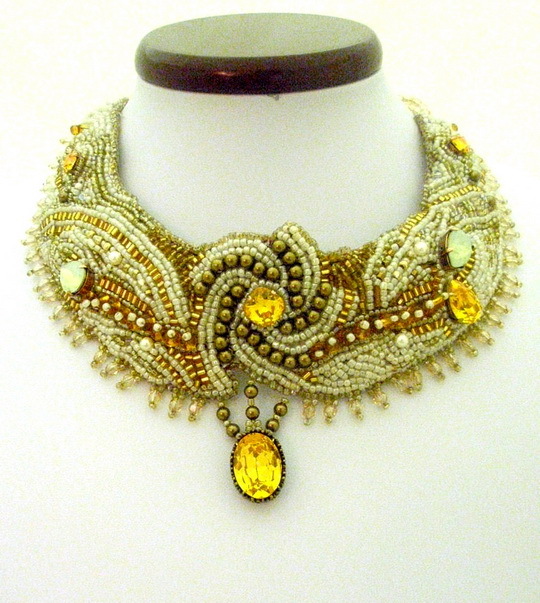 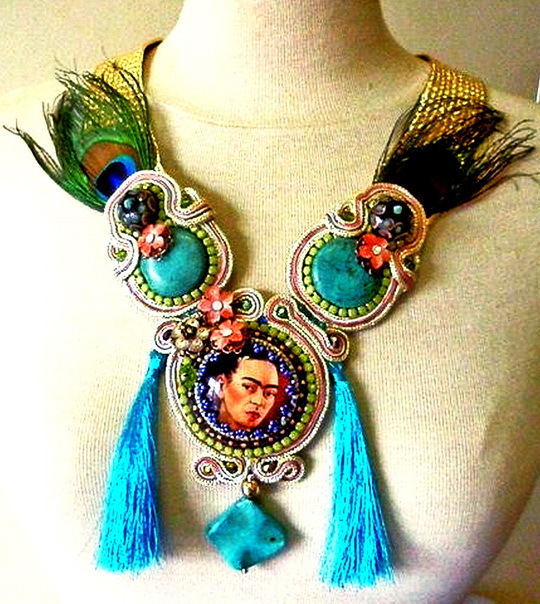 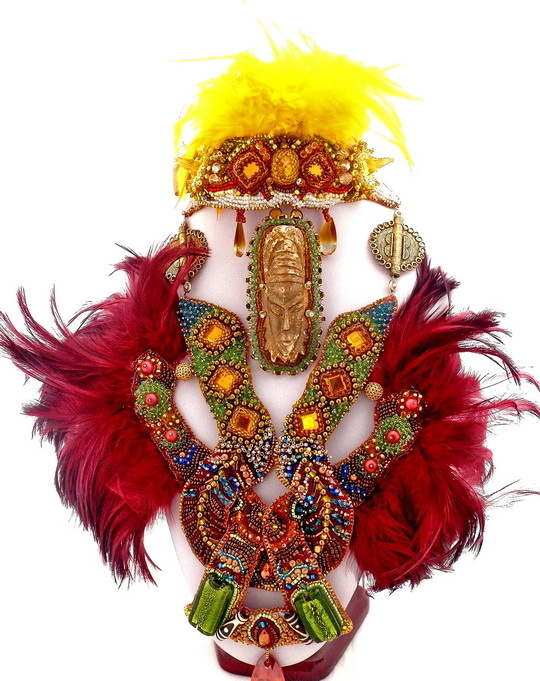 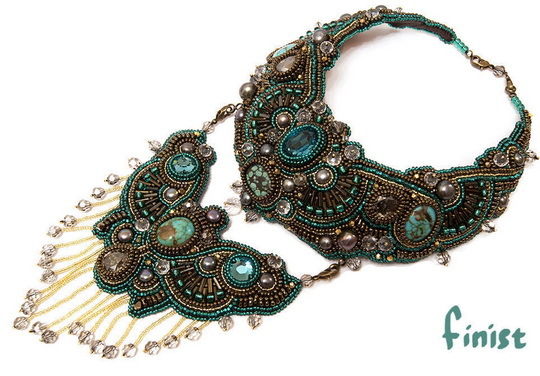 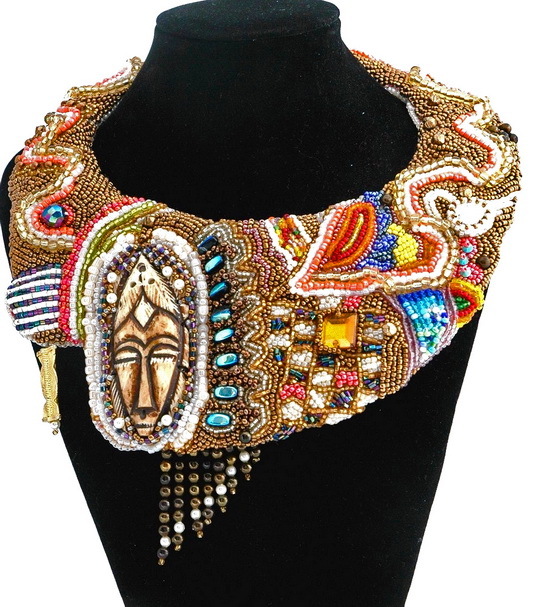 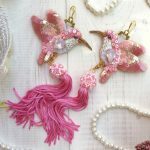 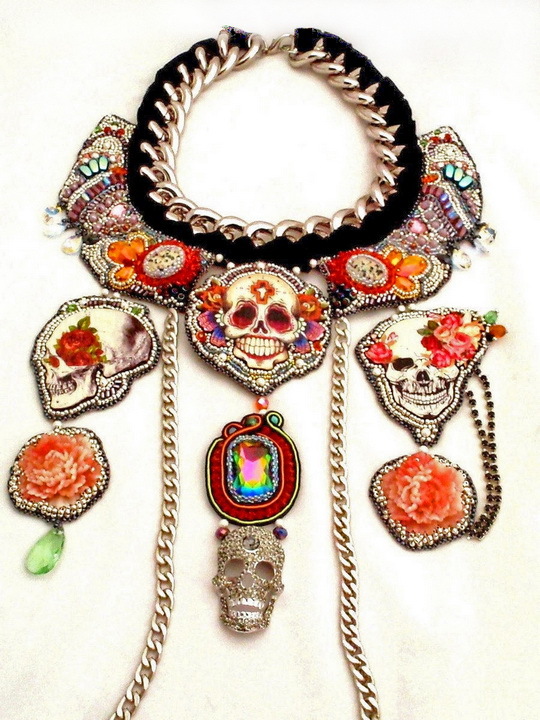 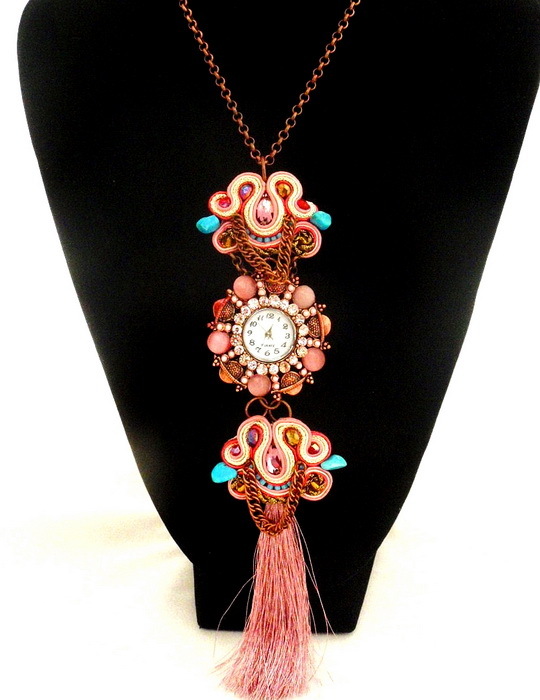 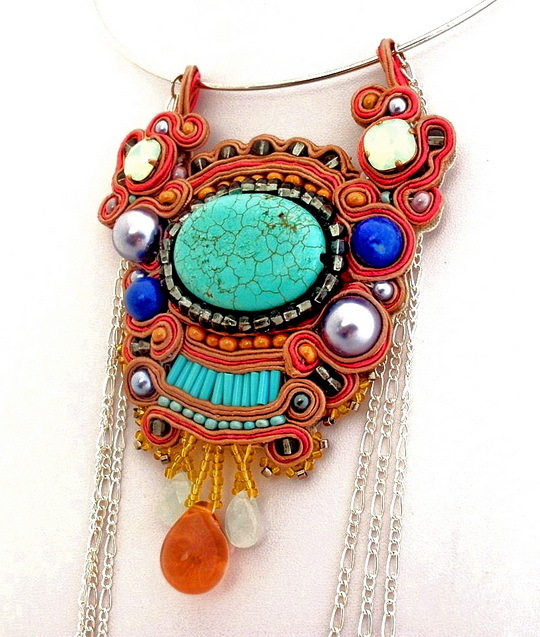 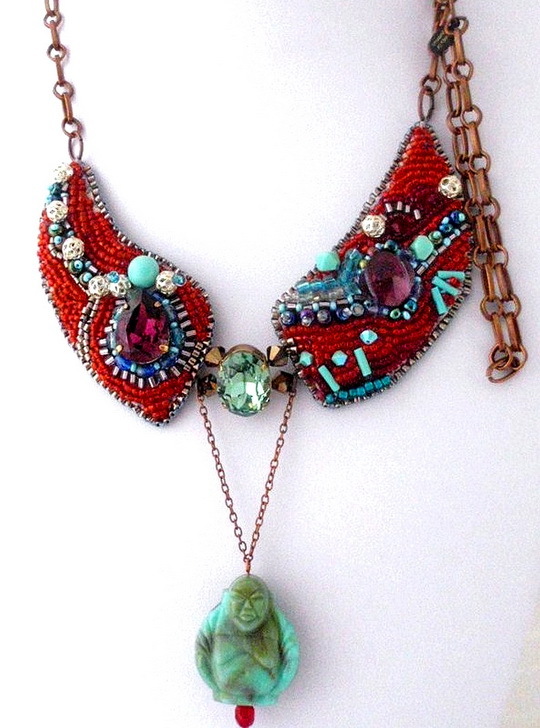 She makes totally unique and original jewelry using bead embroidery and soutage. 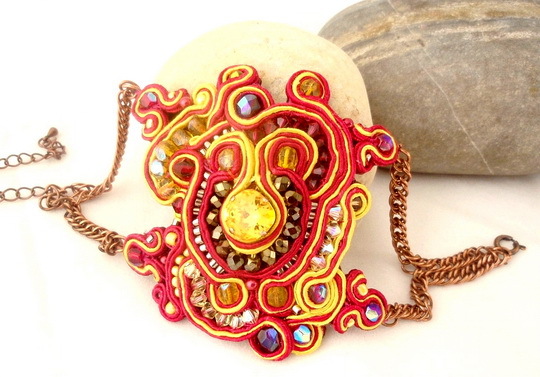 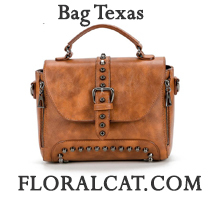 Thank you, Nice to see great jewelry on your site!